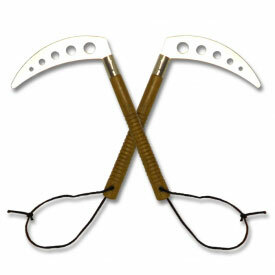 Similar to a farming sickle, the martial arts kama is a tradition weapon widely used in Okinawan Karate, Taekwondo, and Silat. 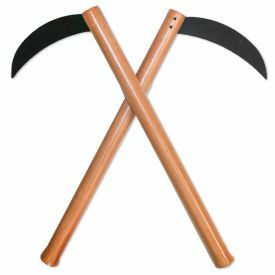 Kamas are typically used in pairs and are sold either sharpened or unsharpened. 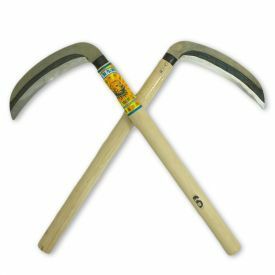 Because the Okinawan working class was so familiar with using the kama as a farming implement, when the ruling class confiscated their weapons, it was an easy transition to use the kama as a weapon. 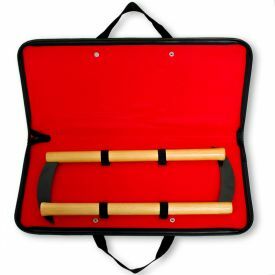 The use of Kamas in traditional martial arts tournaments is very popular because their unique shape and size can be easily adapted to any kata or form movement. 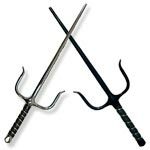 With twirling and arching motions, martial artists can yield these weapons skillfully, making the kama a very fluid and beautiful weapon to observe. 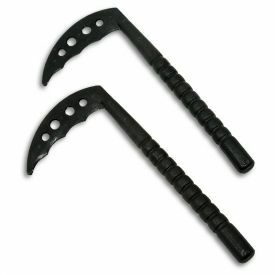 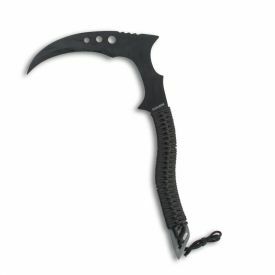 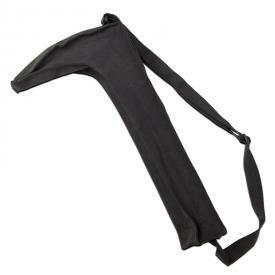 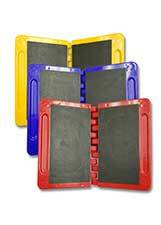 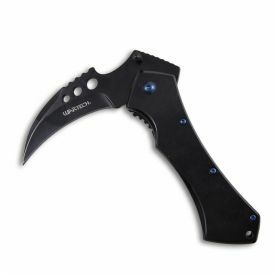 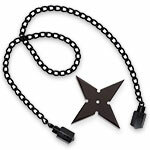 New to the martial arts kama? 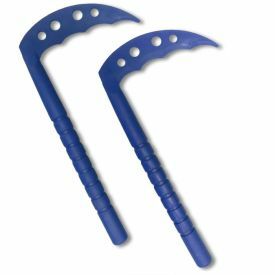 Training weapons like our Polypropylene Training Kama and Blue Plastic Kama are integral in creating a safe yet effective training scenario which encourages realism while honing kata form. 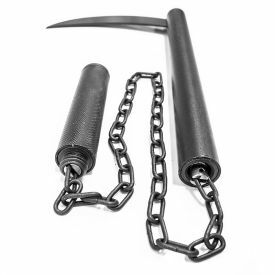 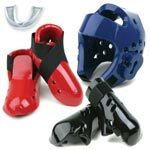 Even seasoned veterans will find training kama like these useful for keeping their skills sharp without damaging a more expensive pair of demo kama. 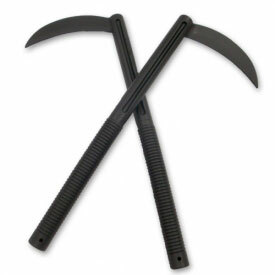 If you have any questions regarding these or any of our other training weapons, don't hesitate to contact us!